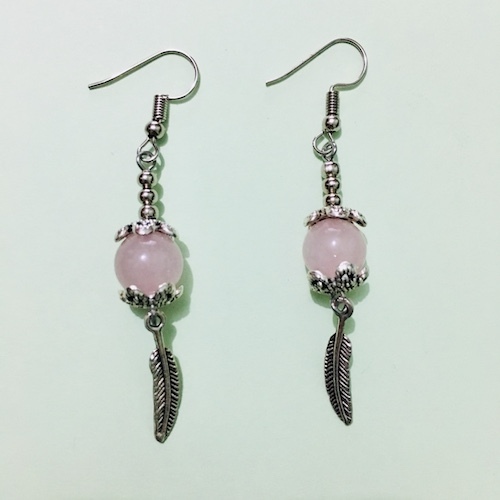 Buy dangle earrings with genuine rose quartz stones from a reliable online crystal shop in the Philippines. Rose Quartz is considered as a love stone due to its ability to help its wearer attract a lover or strengthen a romantic relationship. It is a helpful stone for those who are experiencing emotional crisis.